I'm holding release 0.5 more than expected because I plan to add a couple of features more. Today I'll talk about one of them. 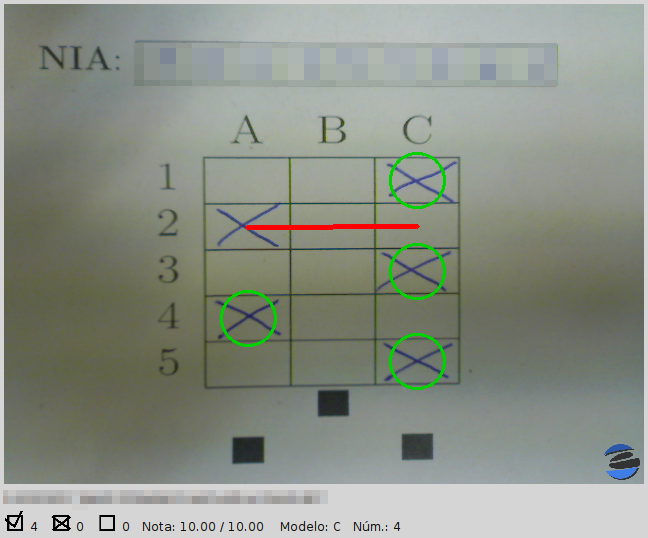 Roberto González, a long time user and contributor of Eyegrade, wondered in his comment to my previous blog post whether the new feature for assigning different scores to questions could be used to void those questions that one doesn't want to grade. This may be useful, for example, when, being late for doing changes to the text of the exam, you want to invalidate a question because you discover that there is a severe error in how it's stated. Roberto commented another situation in which voiding a question would be very useful for him. This new feature has a limitation though: you'll have to void the questions when you create the session. You won't be able to do it once the session has been created. 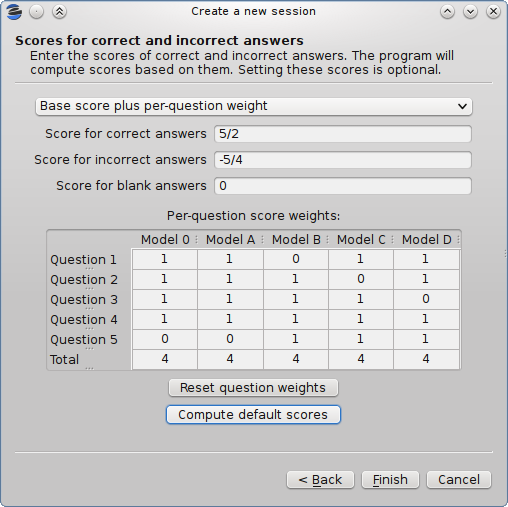 For future releases I'll try to allow changing question scores for existing sessions, so that the scores of the exams that have already been graded get computed again and their captures get updated.